For cars, RVs,motorcycles, snowmobiles and more! For homeowners, tenants, mobile homes and condos. For benefits,liability, or compliance - you’re covered! When is the last time you did a fire safety check at your business? Fire safety is important business. Experts have identified the most frequent causes of loss and how to reduce the extent of damage when accidents occur. Below are questions designed to help you decide whether you need to take additional precautions to control the risk of fire. 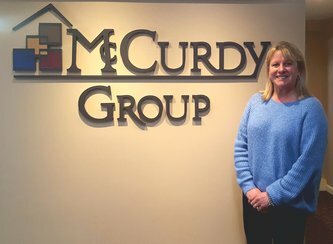 For more than 40 years, home and business owners in Central Massachusetts have turned to McCurdy Group for all their insurance needs. We are affiliated with several respected business and personal lines insurance companies as well as life and group insurance companies. 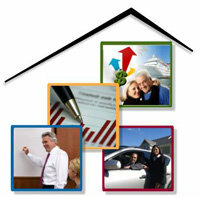 For the best value and coverage, call the McCurdy Group! Referral Program: Refer a friend (or family member) and receive a "Thank You" gift from us! It's simple! You can send referral contact info via e-mail to:referral@mccurdyinsurance.com OR call us at 508-347-9343. March Recipients: Karen Via, Wanda O'Connor, Pravinbhai Patel, Elizabeth Gorey (pictured), Sebastiano Giaquinto and Gerry McCarthy each received a $25 gift certificate to Dunkin' Donuts! TEXT US! Now you can simply send your inquiry in a text to 508-347-9343 and an agent will get back to you within the business day. Please be advised that coverage cannot be added, changed, or deleted via a text message. Getting married? Wedding Insurance - Helps make things right when something goes wrong. Protect your investment in the perfect wedding.